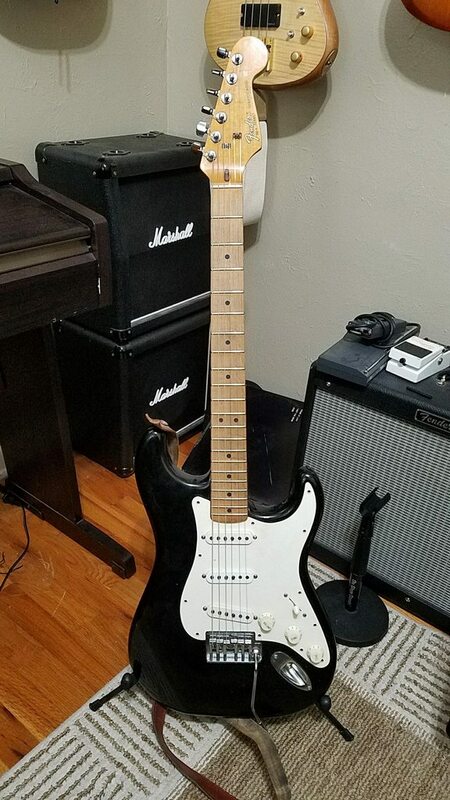 Although I have had it for a while, I haven't paid much attention to it.� So I decided to change that.� Cleaned it up, gave it a good setup, and a bit of a makeover.� Dyed the bright white pickup covers with coffee, and put a black pickguard on it.� Interestingly enough, the pickguard I bought, which is the official Fender brand, fit right on it without having to drill new holes.� The only difference being that the original pickguard had one more hole. I would've thought the layout of the holes had changed over the years. Anyway, I think it's going to become a regular player. 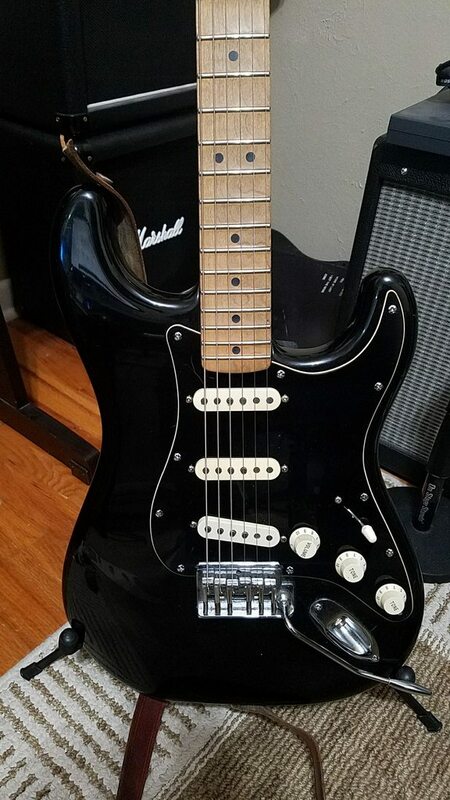 �I'm not sure what pickups it has, maybe Texas Specials if I recall correctly (definitely Fender Custom Shop something), but it has that single coil spank none of my other guitars do currently. �The only problem being that the 60-cycle hum is particularly bad with any kind of distortion. �Searching for noiseless alternatives that might sound similar. That looks really cool. Both the white pickguard and the black one. Although I have seen that type of trem, I didn't know about the spring cavity routing on this model. Very interesting. 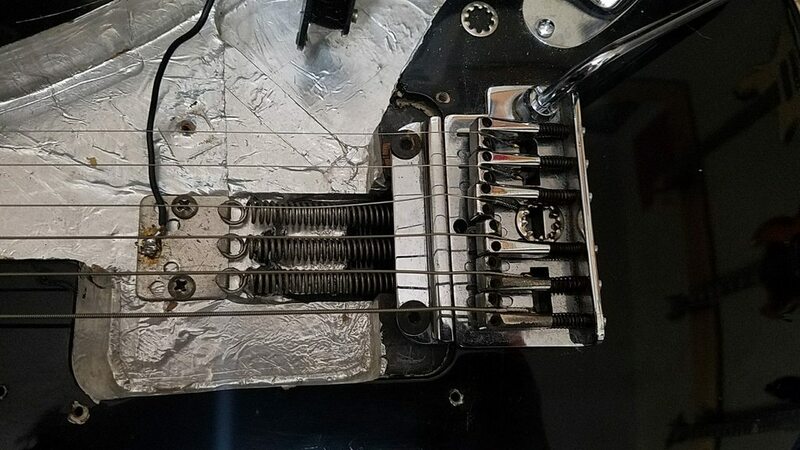 What's with the locking washer in the trem? One too many beers to care about it being there It's not a permanent thing, it just fell in there and I didn't realize it until I started putting the new pickguard back together. Goes on the pots. The trem was designed by Schaller IIRC. I need to change strings, so if I end up removing it I'll look and see if there's any branding or patent info. That's awesome. I've seen those bridges a lot and never knew they had the claw and springs mounted in the body like that, I like it!